It helps me to say these things aloud, I think. 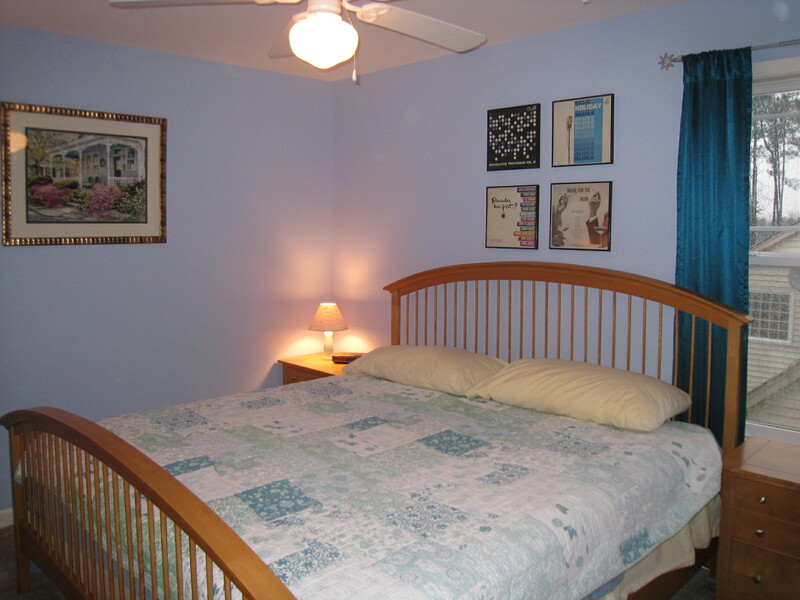 And finally, our completed guest bedroom. 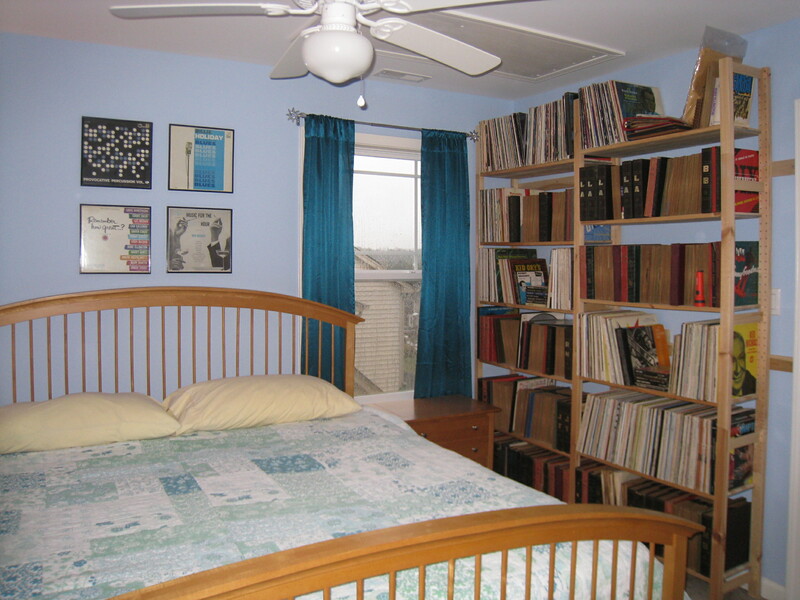 This room has some Ikea shelves that Dave installed which house his extensive record collection. 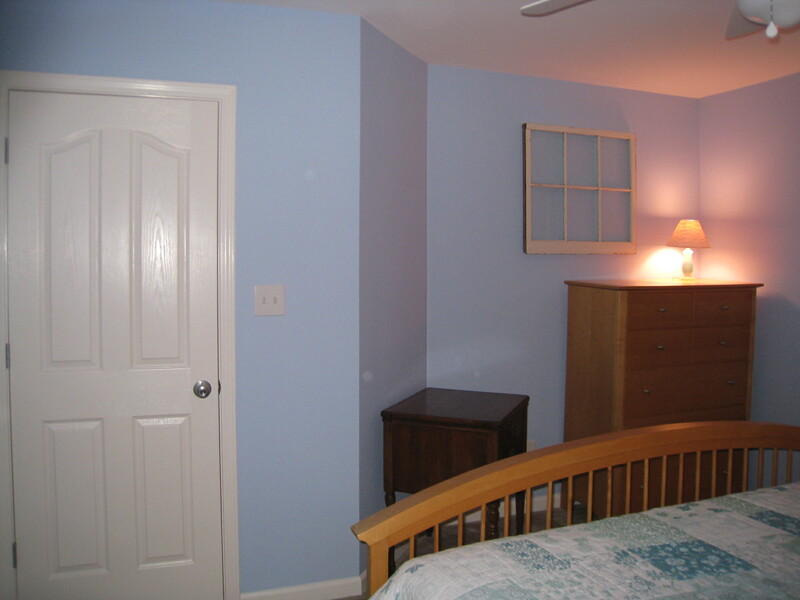 We love the blue color, it lights up this room which doesn’t receive that much natural sunlight. I found a new home for the two vintage blue glass lamps Kerri made me buy from the flea market, and I re-purposed the teal curtains from the nursery. We’ve decorated with a little bit of a Southern theme with the comforter, front porch picture and antique window, but tied in the wall o’ records with the array of record frames above the bed. I really love this! So serene. Makes me think of the beach. And I love that antique window! !